Some residents at the Riverstone Mobile Home Park in Cottage Grove returned home Tuesday after having to evacuate due to severe flooding. Residents in a mobile home park in cottage grove are returning home tonight after being forced out of their homes sunday night. 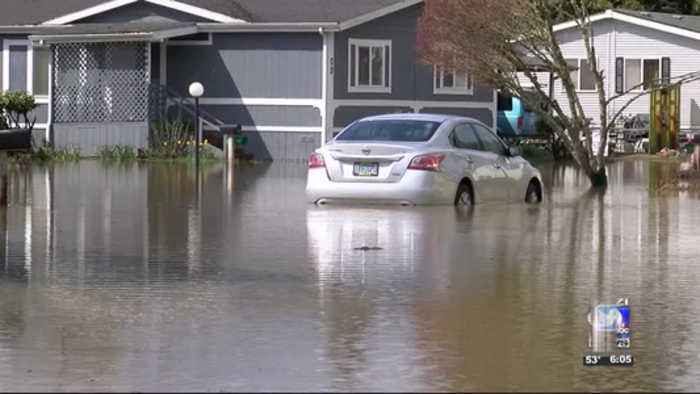 Kezi 9 news reporter madison glassman shows us why they're calling on officials to make sure this doesn't happen again. Nats of water flowing into the drai* flood water drained down today*nat* resident says, "water came up from close to going into the shed, but mine stayed dry." And residents returned home to the riverstone mobile home park to assess the damage... "people that didn't have bark, now have bark in their spaces. "*nat* sylvia says, "this is all happy to see that you can see the street, but you can see how all the landscaping is in the street." Nats of someone walking through wate* some residents wait patiently for the rest of the water to go down the drains... "it's still too deep to get into my car port...therefore, i can't get into my house." And they're calling on officials to prevent this level of flooding from happening again. Sot: "i think odot needs to come out and clean those culverts out on a regular basis." Officials with odot tell me culverts near this park are flowing well now...and not blocked. 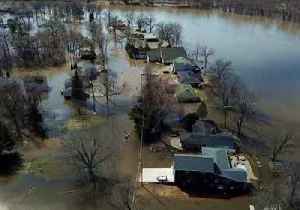 Residents of Winnebago County, Illinois, were urged to contact the American Red Cross for access to shelters on March 18 following severe flooding in the area.Flood warnings remained in place on March..